"The World’s Largest One-Stop Platform for Agrochemical Trade Show"
The China International Agrochemical & Crop Protection Exhibition (CAC), as world largest one-stop platform with the most active transactions for trade exchange and cooperation platform integrating pesticides, fertilizers, seeds, non-agricultural drugs, production and packaging equipment, plant protection equipment, logistics, consulting, laboratories and supporting services. 4 09 Mar 2019 Omur Dolunay Managing Director at OTTOFERT Kimya Sanayi ve Ticaret A.S.
5 18 Mar 2019 Sahdev Singh Director at M/s Dhruv Crop Protection Consultancy (OPC) Pvt. Ltd. 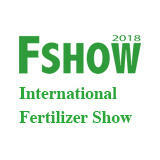 The exhibitors of China International Agrochemical and Corp Protection Exhibition will exhibit the latest products and services including agricultural technology and products, latest technologies, products and services, agrochemical equipment, Agrochemical and Corp Protection products and agricultural crop protection technology.